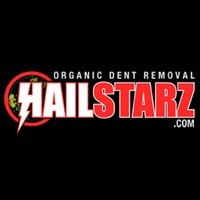 At HAILSTARZ —Organic Hail Dent Removal Taylors, we are car people. Also known as Paintless Dent Removal Taylors or (PDR), Organic Dent Removal is an exciting and innovative method for removing minor dents, dings, creases and hail damage while being 100% Eco-Friendly & Chemical Free. • We have 20+ Years of Experience Fixing Auto Dents & Hail Damaged Cars. • For Hail Damage Repair Taylors, we pay your deductible so it’s literally $0 out of Pocket. • Paintless Dent Repair (PDR) is an insurance approved dent removal process. • With PDR, your vehicle’s original value is preserved. • We take the headache of dealing with your insurance company. • We offer FREE Rental Car & Auto Detailing as well along with each job. To fix your hail damaged vehicle with NO MESS. NO STRESS, Call HAILSTARZ at 866–720–3368 to schedule an appointment at one of HAILSTARZ.